We've found 4 press releases matching your search for 'artists network alpujarra'. 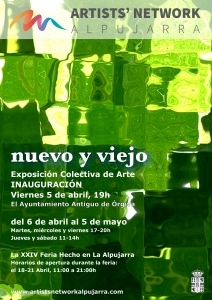 Artists Network Alpujarra (ANA) is brightening up spring with its 'Old and New' exhibition taking place at the Old Town Hall, Orgiva, Spain, from 5 April to 5 May, 2019. The launch event is on Friday 5 April from 7pm. 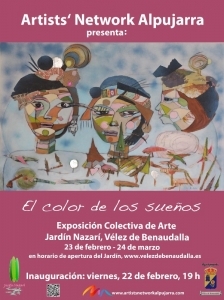 The exhibition features numerous types of artwork from local artists.